In the UK, every 90 seconds someone is admitted to hospital with an acquired brain injury. They have the potential to impact every aspect of life and, due to the complexities of the brain, every injury and recovery is unique. The impacts of brain injury are not limited to an individual. Their effects are also felt by friends, family members, work colleagues, professionals and the wider community. 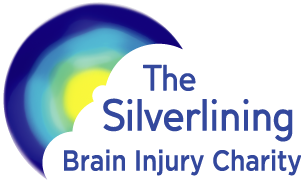 The Silverlining Charity offers opportunities for all those affected by brain injury (Silverliners) to get involved in exciting and purposeful activities in the community. Our service users include the brain injured as well as their family members and friends who are often overlooked despite the effects brain injury can have on loved ones. We run free and low-cost activities and events in the community encouraging our members to reconnect, grow and discover something new. All our activities are open to adults of all abilities; we believe that disability should never be a barrier to personal achievement. Our work engages brain injured people with the wider community in such a way which invigorates, motivates and rehabilitates to discover a sense of purpose, social structure and added meaning to their lives. We take a fresh and exciting approach to brain injury support. Our mission is to engage and unite the brain injured with the wider community in such a way which invigorates, motivates, and rehabilitates. This helps all those affected by brain injury (Silverliners) rediscover a sense of purpose, direction and meaning as well as educating the public to the plight of those affected. We believe our mission can be achieved through supporting purposeful projects, challenges and activities which benefit the individual and the wider community. 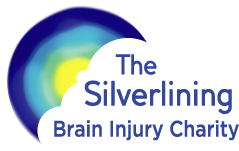 The Silverlining Charity support adults who have sustained a brain injury, their family members and their carers. Our services are also open to professionals and volunteers who are keen to learn, support and get involved. We understand the effects of brain injury and so create activities, events and environments that are inclusive and look to enable all. All of our services are designed to offer the clinical benefits of continued and collaborative physical and cognitive rehabilitation in a community setting where our members are able to develop a sense of purpose, pride and direction after brain injury. We currently run a wide range of different fun social activities and services in community settings. The Silverlining Charity is a family like no other. We offer free membership to all adults affected by brain injury including the brain injured, professionals, family members and friends. With a truly positive outlook we run community activities and events to develop social ties, promote personal growth, offer people new opportunities, and promote a sense of purpose and direction. We work hard to ensure we can offer the majority of our activities for free or cost price.